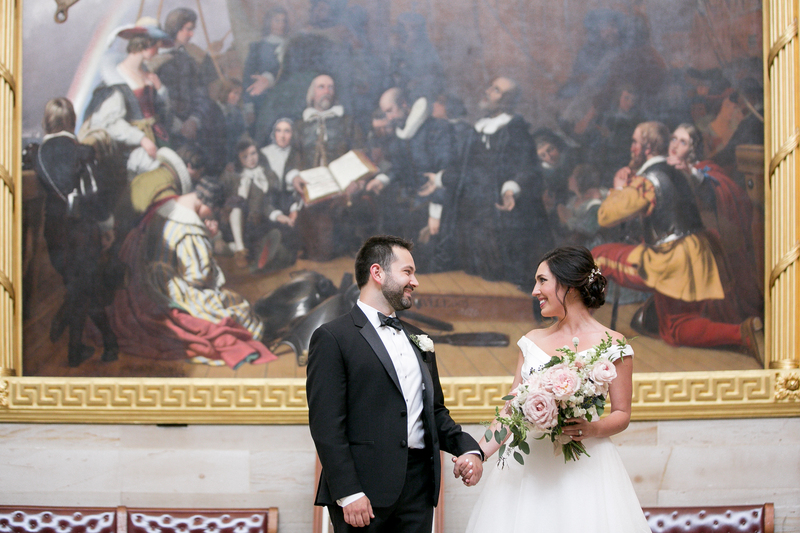 This sweet couple wanted to host the quintessential DC wedding and found the perfect venue the National Museum of Women in the Arts. 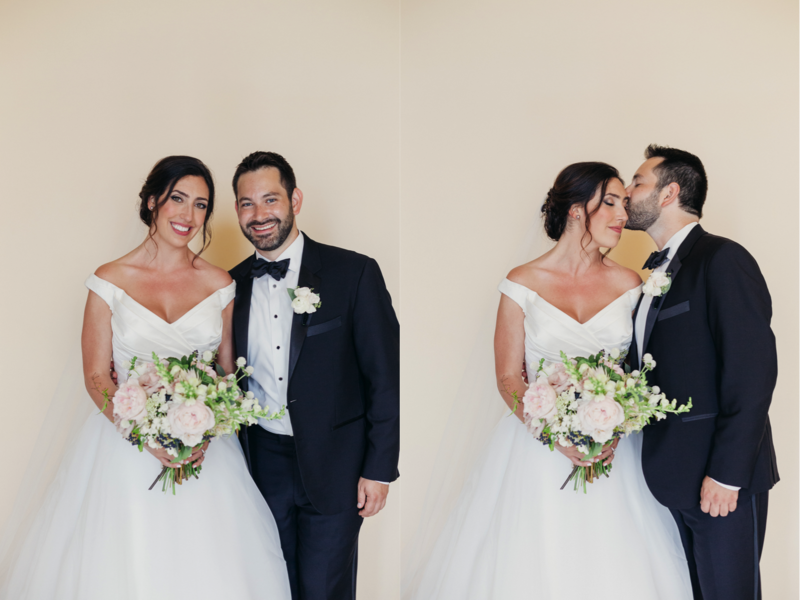 Their ceremony was set in the round in the Great Hall, with their lovely gauzy, greenery-draped romantic chuppah as the centerpiece. 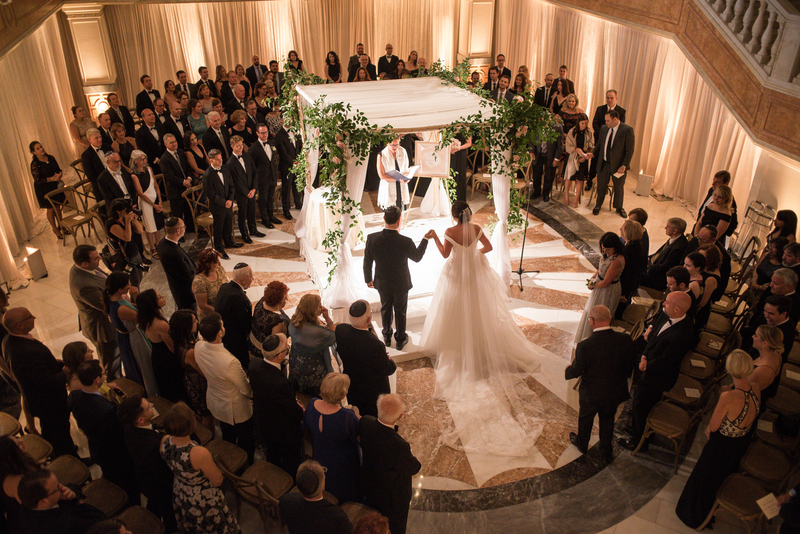 Surrounded by family and friends, their ceremony felt intimate and personal. 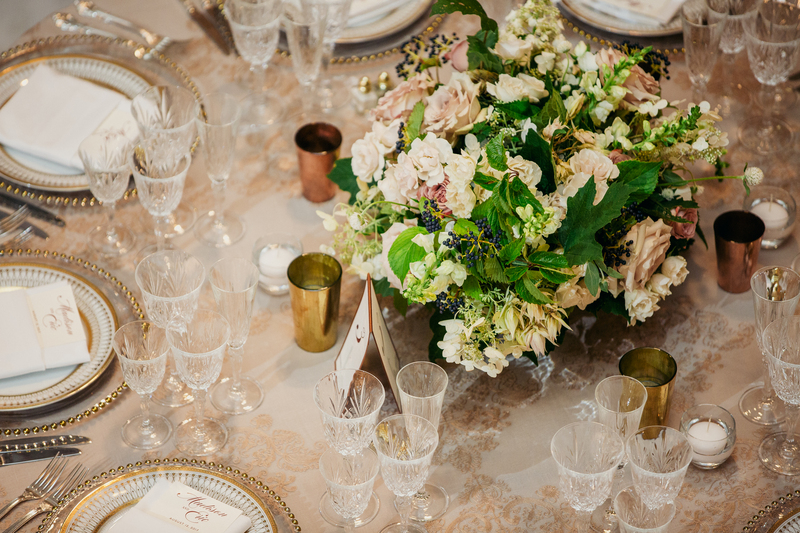 Soft, gorgeous flowers from Sweet Root Village helped blend hints of rustic Napa-inspired elements with the more formal details of the museum. 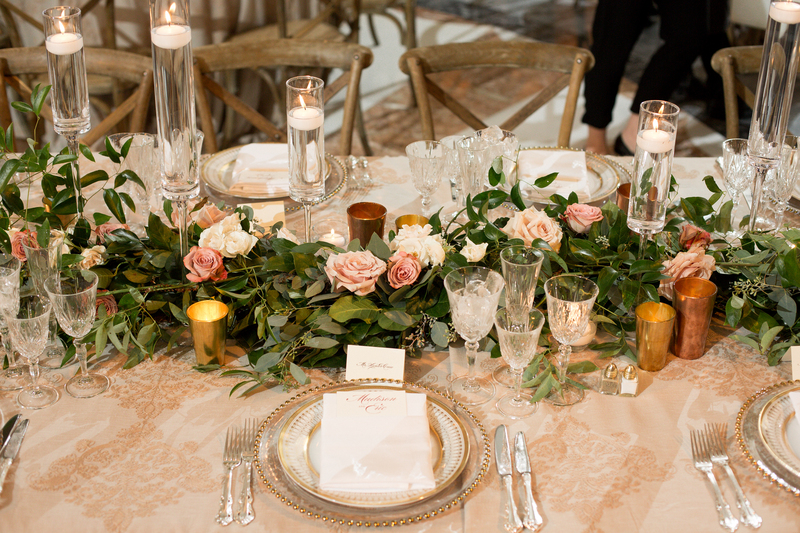 Cross back chairs and neutral embroidered linens helped emphasize their casual elegant vibe. 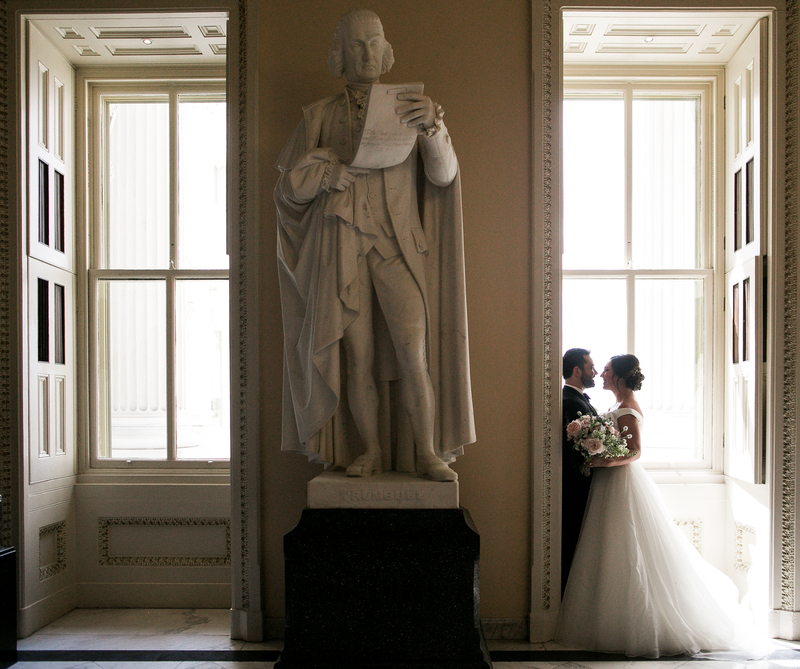 Happy First Anniversary Mr. and Mrs. Walker! We wish you a lifetime of love and laugher.